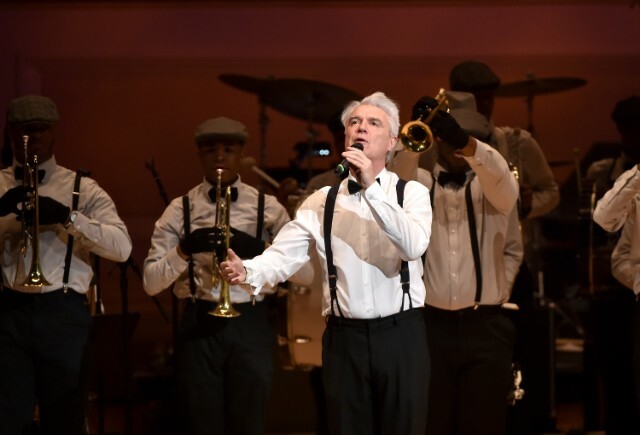 After revealing that his new album will be called American Utopia and releasing its first single, “Everybody’s Coming to My House,” David Byrne has announced a list of tour dates for what he promises will be “the most ambitious show I’ve done since the shows that were filmed for Stop Making Sense.” To that end, the show will include a 12-piece band who will join Byrne on stage for a choreographed concert. The tour is indeed ambitious in scope, with shows across North and South America and Europe. Byrne had previously released tickets for a small string of tour dates in March; all of his March U.S. dates have since sold out. With this new announcement, he has greatly expanded the list of cities on his tour roster, from 10 to over 75, including several festivals across the world. The tour kicks off with a sold out concert in Red Bank, N.J. on March 3, just a few days before the March 9 release of American Utopia, and runs well into August 2018. Browse the full list of tour dates below.